The Prestige XM-PRO II Advance Treadmill is among the brand’s famous XM PRO range. This model features a Bluetooth compatible console that allows you to play your favourite workout music on its speakers wirelessly. But hold your horses, there’s more to know about this treadmill as it’s packed with a lot of additional features that will guarantee you of excellent value for its affordable price. You can also check out our review of the Prestige XM Pro III here. With only a weight of 27kg, the Prestige XM-PRO II Advance Treadmill is relatively lightweight, yet it’s durable with a maximum weight capacity of 100kg. Its 1.0CHP powerful motor makes it reach a top speed of 10kph and it Smart Power Drive System keeps it quiet so you won’t disturb your neighbours, especially if you’re on the upper floor. This treadmill is recommended for beginners and those who want to get a daily cardio exercise. It even comes with a drinks holder as well as a slot for your tablet so you can entertain yourself during your training. With an advanced console, it’s great news that the Prestige XM-PRO II Advance Treadmill still falls under the budget treadmills. It has a large LED display that lets you clearly keep track of your progress whether it’s in time, speed, calories, distance or pulse. And speaking of the pulse, this treadmill comes with integrated pulse sensors so you can quickly check your heart rate and make sure your exercise is effective. 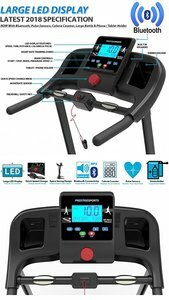 The main attraction with this treadmill is that it has built-in speakers wherein you can play music by directly connecting your device via Bluetooth. That means you won’t need any cables that can get in the way whilst jogging or walking. The Prestige XM-PRO II Advance Treadmill also has 16 built-in workout programs that you can begin with, and when you finally figure out your desired settings, you can manually create your own program. 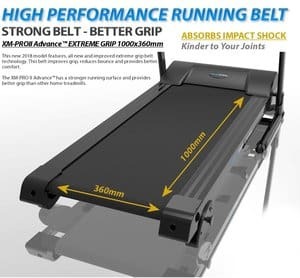 The 2018 model of the Prestige XM-PRO II Advance Treadmill features an all new and improved extreme grip belt technology that reduces bouncing while providing you with more comfort. Its tread is integrated with impact shock absorbers that help in minimising the pressure in your joints whilst running. Although its running surface area may seem too narrow for some users with a size of 100 x 36cm, it can still work for other. One buyer who has a height of 5ft and 10in said that he finds the treadmill fine to use. 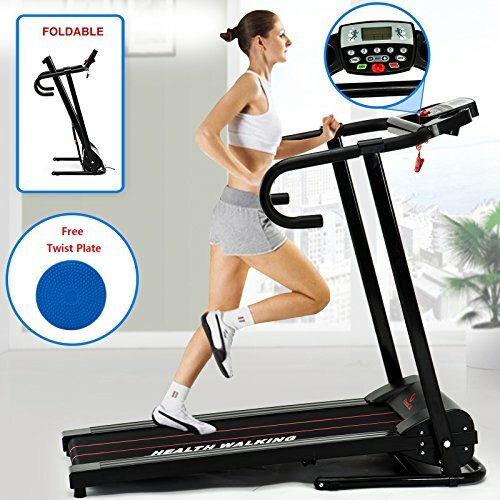 This treadmill also has three levels of manual incline that can help burn more calories and also help in reducing the strain that running that can put on your joints. Adding inclination to any treadmill is a great way to enhance your workout, and it can help you get better results. For those who have been using a treadmill in the gym for a while and want one of their own, this treadmill might not suit your fitness level. It’s more of an entry-level treadmill which caters beginners and seniors who want to maintain a fit body. Nonetheless, this equipment can still work for all fitness levels especially if you only have a limited space to build a home gym. 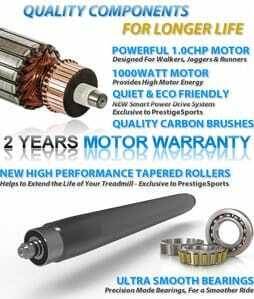 The PremierFit T100 Treadmill is also considered a budget treadmill yet is highly-recommended by its customers. With this treadmill, you’ll get 12 preset and three customisable workout programs, and it even has an iPad holder and music compatibility. It’s also compact but it’s wider than other affordable treadmills with a runway size of 110 x 40cm. 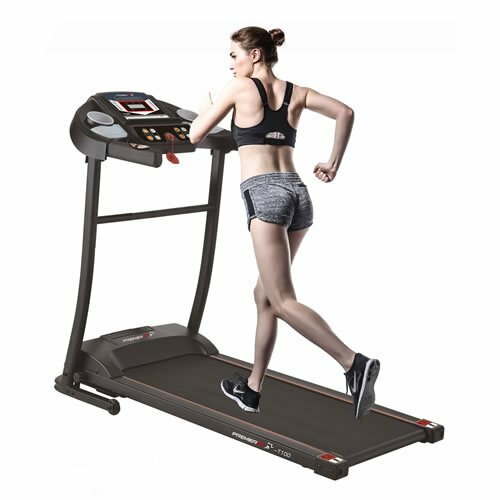 The maximum weight capacity of this treadmill is 90 kg, although according to the buyers, it is proven to carry up to 100 kg. 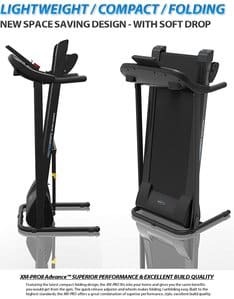 Another entry-level treadmill is the Fitnessclub Folding Electric Motorised Treadmill. It doesn’t have a lot to offer, but it’s compact and durable with a maximum user capacity of 100kg. This budget treadmill is incorporated with a sturdy metal frame and durable handlebars that are also long enough to be easy to reach. Although it’s running area size is quite narrow with a size of 100 X 34cm, it’s still suitable for walking and light jogging. It also has a comfortable cushioning that can reduce pressure on your ankle, back and knee joints. This treadmill doesn’t offer any incline adjustment, but it’s built with a 10% fixed incline to help you burn more calories and gain stronger muscles. Fitnessclub Folding Electric Motorised Treadmill Detailed Review? CLICK HERE. Sometimes it’s also better to spend a few more bucks for a better treadmill. The DK-19 F4H Auto Incline Treadmill is suitable for any fitness level as its 1.75HP motor can keep up with fast-paced running. It has thick handlebars and a large display with easy to navigate buttons, and it has an impressive running area size that measures 140 x 40cm. Aside from a wide area, it also has a 6-level shock absorption feature that lessens the impact on your joints. This treadmill also has onboard stereo sound speakers as well as integrated pulse sensors that give you an excellent value for its price. DK-19 F4H Auto Incline Treadmill Detailed Review? CLICK HERE. 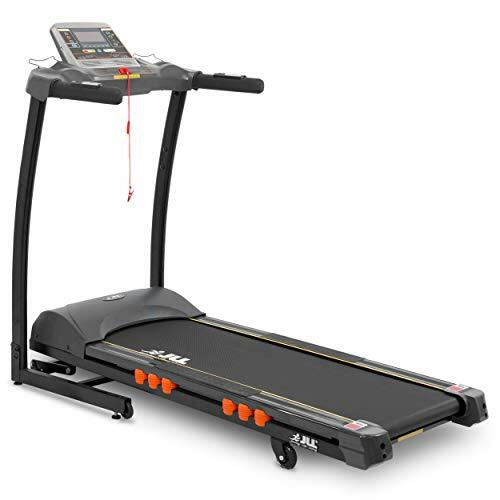 If you want to be certain about the quality of the treadmill you’re getting, the JLL S300 Digital Folding Treadmill should be among your top choices. It has a wide running deck that measures 122cm x 40cm, and it’s extremely comfortable with a 16-point shock absorption system. This treadmill also has an advanced entertainment system that allows you to play music either through an AUX input or the USB port. It also offers 15 running programmes that comes with three customisable workouts, and it’s suitable even for advanced users with 20 levels of incline and a top speed of 16km/h. 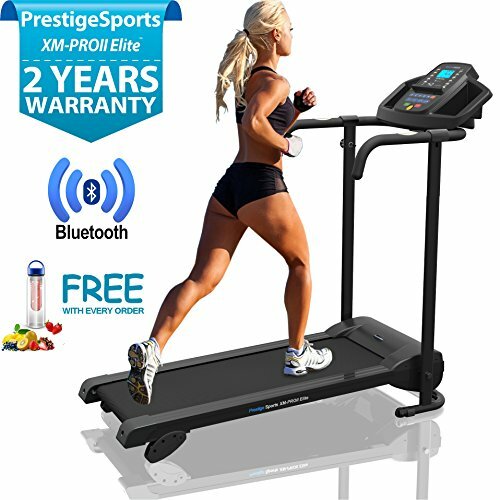 Even though there are a lot of treadmills on the market, the Prestige XM-PRO II Advance Treadmill still stands out with its Bluetooth compatibility and affordable price. It’s an entry-level treadmill so it can only be used for brisk walking and light jogging. Nonetheless, it still provides an effective exercise for anyone who’s trying to remain fit at home despite a busy lifestyle.